Vodafone has pulled the sale of its paging business to Capita and will shut it down after the competition watchdog threatened to investigate the deal. Vodafone and Capita run the UK's last two paging businesses and agreed the sale in February. But the Competition and Markets Authority said it was concerned customers may now face price rises. Vodafone said was 'disappointed' by the CMA's decision and it made more economic sense to close the business. Seriously, be interesting if/when those booming paging signals disappear to see if the frequencies are allocated to pmr/dmr users or something else ? 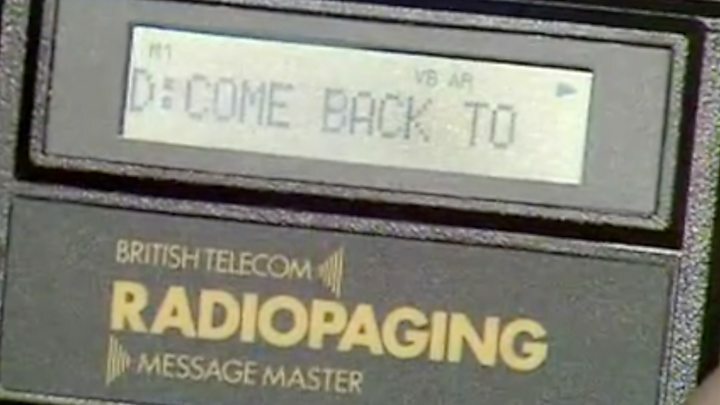 I didn't realise paging like this was used anymore, I remember back in early 1990's decoding the paging messages and seeing everything from Train times, Jobs for the 24hr plumber to the nasty medical ailments of Mrs Jenkins down the road who had problems with her piles and needed the on-call Doctor to visit !!!!!! Still loads of firms provide pagers - simple, cheap and often get around the staff rules on mobiles. Hospitals still love them and run their own systems. Talking back isn't important for many people, and the group/individual/all message features are easier to run than doing multi dials on phones via text messages - as they get mixed in with everything else. You're right regarding hospitals...totally forgot a 454mhz allocation heard here in North Herts (I think its one of the Hospitals in the Cambs area) that still uses a paging system and I feel embarrassed to say that Fire Services rely on Retained Fire-Fighters responding to a tone pager on 147.800mhz (embarrassed to say I forgot about this and I've been in the Fire Service for over 20 years !!!!) and I guess Lifeboat crews also. Few years back I had a filter that covered the paging freqs (Garex I think) but in some locations the paging signal on 153mhz was booming...any ideas on power output from a paging transmitter ?